Disclaimer: We acknowledge that tier lists aren't always accurate and are often controversial. Please be prepared to defend your assertions with facts and experience. Theorycrafting is possible to an extent, but experience will always take priority. Try to limit the discussion to classes and balance and not blasting derogatory attacks at each other. Please don't make posts that don't explain why you think a certain way and expect to be taken seriously. 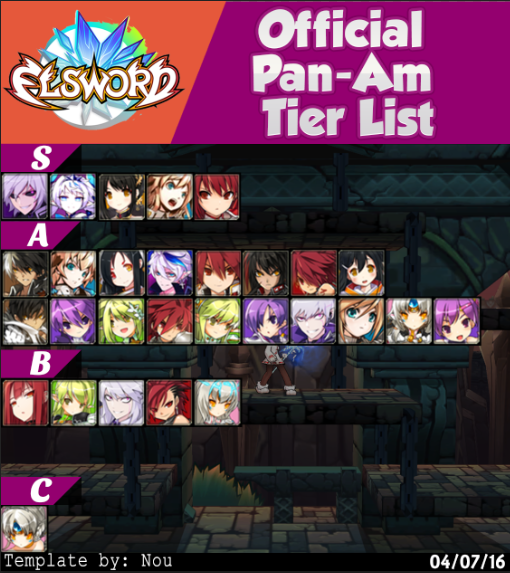 THIS IS A SPARRING TIER LIST, ARENA SHOULD NOT BE MENTIONED AS REFERENCE. 100 ERP was also the standard used. 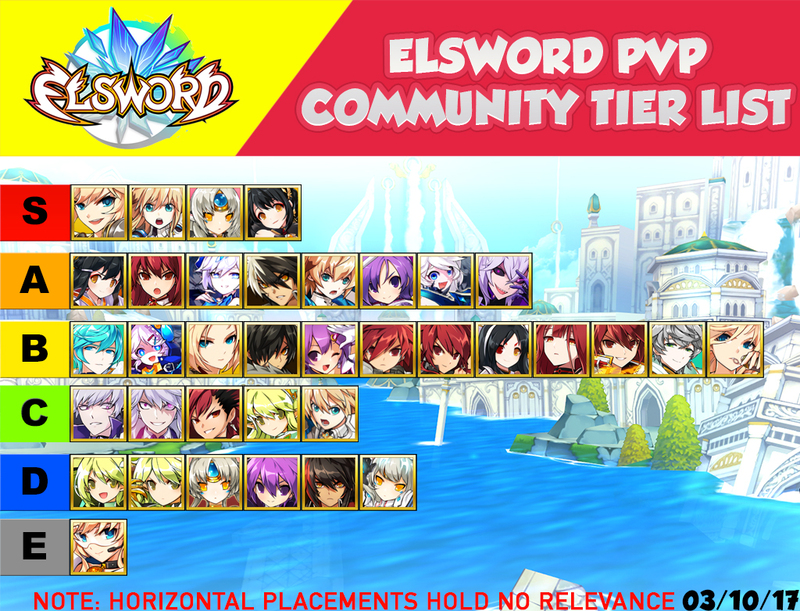 We gathered a group of experienced and competent players together and asked them to make their own separate tier list, from that the scores of each class was averaged to make what we have now. We will not be releasing individual lists, however those involved are free to share their lists with the public if they feel to do so. NOTE: Only top to bottom placement has relevance, left to right is in any order. There's no point in evaluating a character that they can't access a complete version of (not to mention that the character needs to be out long enough to be evaluated). Flashing blue screen the best. CrA, TT and BM should be S. ST should be moved down. CN should move down to A. I still feel like this list still needs a ton more tweaking. CrA has the ultimate kit of Iron Body's and Red Aura SA that can be used while being hit. With ERP added, it becomes even more dangerous as CD can make the uptime very high. They also have a healing ability, a ton of passives, gap closer, a skill to prevent mb, damage for just being next to them, and high damage overall. BM is probably the best duelist in the game in a 1v1 situation. This character also has the ability to escape in combos using shadowstep, has gap closers, delays, high damage, lifesteal, etc. TT is very strong and it can be seen more the smaller the map is. He provides a very strong map presence and can control the map if used right. While having a superarmor bubble, he also has bombs and other artillery that can make it hard to approach a TT. ST is seriously not that big a threat and with the conditions you placed, i expect very little damage to come from this ST. idk why thats even at S.
CN i feel isn't at S form as she was before. There were parts of her that were tweaked and the mc nerf effected all eves. Although she has a higher base amount of power with the conditions you placed than the other two eves, she doesnt deserve to be S tier. Please provide your reasoning as to why they should be moved. Just saying "x should be moved up/down" isn't enough to warrant a change in their placement. Please be prepared to defend your assertions with facts and experience. I was in the middle of editing come on guys. Patience, stuff takes awhile to type.